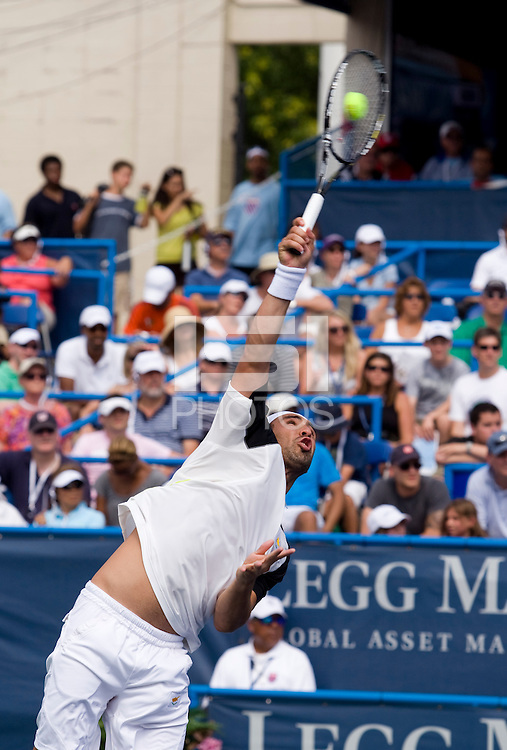 Marcos Baghdatis serves during the Legg Mason Tennis Classic at the William H.G. FitzGerald Tennis Center in Washington, DC. David Nalbandian defeated Marcos Baghdatis in straight sets in the finals Sunday afternoon.